Part of my after work dinner rotations is “spaghetti and meatballs”. It is a quick and easy dinner to make, but there is one problem I am on a low carb diet and my husband isn’t. Solution? 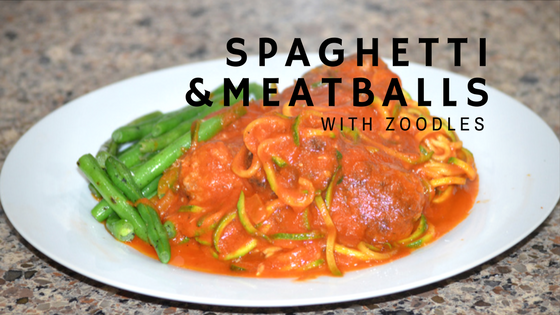 I guess I could just eat meatballs and marinara sauce for dinner…but that’s not going to fly for my self-proclaimed foodie self so zucchini spaghetti for me and normal spaghetti for the husband. If you don’t have a spiral cutter cut your zucchini’s in half length wise and then in half length wise again. Then cut them about matchstick width size. I also do not peel my zucchini I like all the goodness, but if you don’t like the skin feel free to peel the zucchini first, but remember the zucchini will be slippery. For a quick after work meal, I either use a jar of marinara and add some extra spices/herbs, or I take out some frozen marinara sauce I made ahead of time. I also always have a side of veggies, either sauteed green beans or broccoli. Mixed ground beef, egg, parmesan cheese, oregano, paprika, salt, red pepper, bread crumbs and half of the diced yellow onions together (if meat seems too moist add some more bread crumbs). In a frying pan heat your olive oil, add the remainder of the onions and cook until translucent, add your meatballs and brown all over. Put meatballs in sauce pan with warmed marinara sauce on medium low and cover. 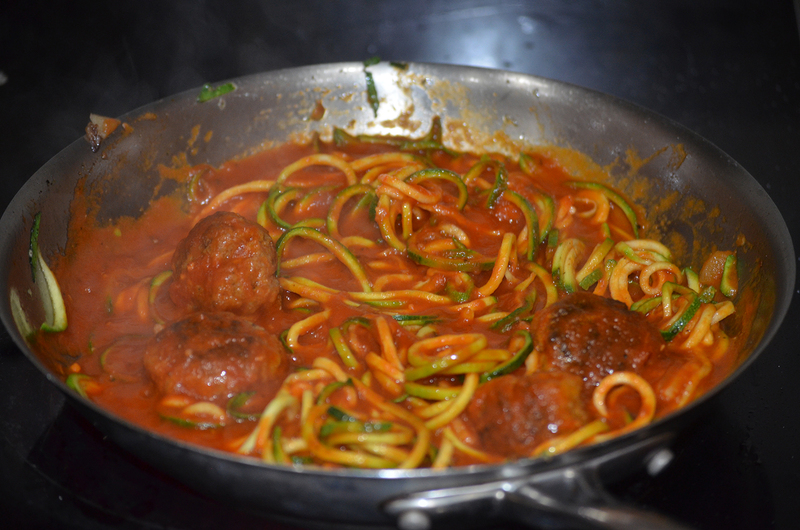 Ladle marinara sauce on your spaghetti and zoodles, add as many meatballs as you want. Cook pasta for a few more minutes and serve. 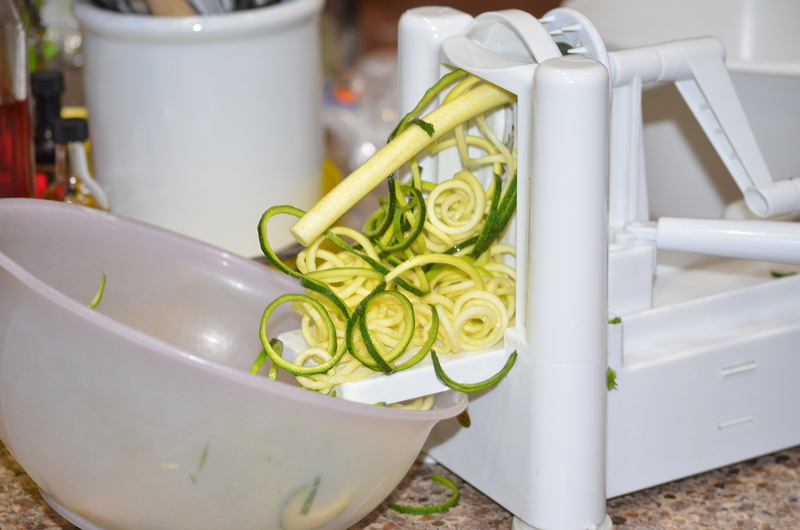 Now you have zucchini spaghetti noodles for you, pasta for someone else, and hopefully leftovers!